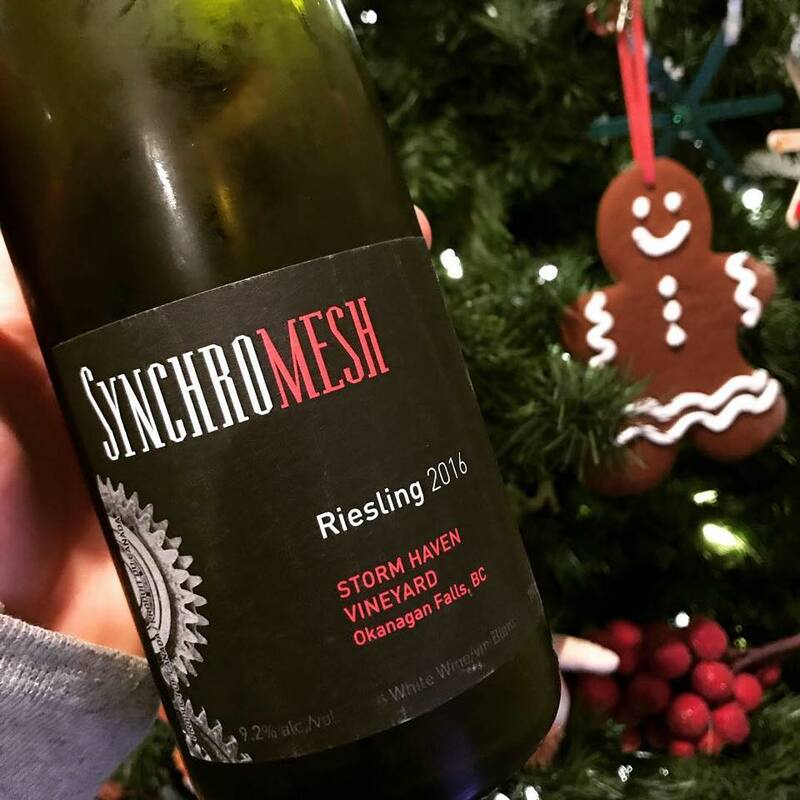 Synchromesh Stormhaven Riesling 2016 Alan Dickinson is a Riesling fanatic. So much so that he’s almost dedicated his winery to the grape. At my last count he made 9 different Rieslings. All are fermented with indigenous yeasts and farmed without the use of chemicals…. Alan Dickinson is a Riesling fanatic. So much so that he’s almost dedicated his winery to the grape. At my last count he made 9 different Rieslings. All are fermented with indigenous yeasts and farmed without the use of chemicals. (*Note: They also make fantastic Cab Franc and lovely Pinot). The Stormhaven Riesling is their flagship and comes from their home vineyard in Okanagan Falls on McLean Creek Road. Super aromatic. Notes of orange marmalade, lime, ripe pear and nectarine on the nose. Full and dense on the palate, the sweetness in this wine (38 g/l) is perfectly balanced by bracing acidity salty minerality. Drink it on its own, or pair with roast pork shoulder, duck rillettes, or Thai red curry with pineapple.